A damning report by the Office of the Ombudsman has concluded that police wrongfully charged the former Chief Executive Officer (CEO) and two of his managers of a massive $69M fraud at the New Building Society, in 2006. The explosive document by the public complaint office, released this month by Ombudsman, Justice Winston Moore, was based on complaints by Maurice Arjoon, the former CEO, who claimed that he was framed after he refused to illegally endorse the lending of $2B, in 2006. Arjoon’s decision to only lend $350M in keeping with the country’s financial laws angered former President Bharrat Jagdeo who allegedly threatened to deal with the CEO. The Ombudsman’s report also questioned the role that Director of Public Prosecution, Shalimar Ali-Hack, and her husband, Sheik-ul-Hack, played in the investigations. The report also questioned the police over missing key exhibits and failure to follow-up of obvious questions. The report also called for the case to be re-opened. Thirteen years to the day after he started working at the New Building Society (NBS), Operations Manager, Kent Vincent, reported for duties as normal. It seemed like just another day- May 31st, 2007. But it was about to go all wrong. Vincent was told that he is being charged in connection with a $69M fraud committed on a customer’s account at NBS. Also charged was his boss, Maurice Arjoon, and co-worker, Kissoon Baldeo. 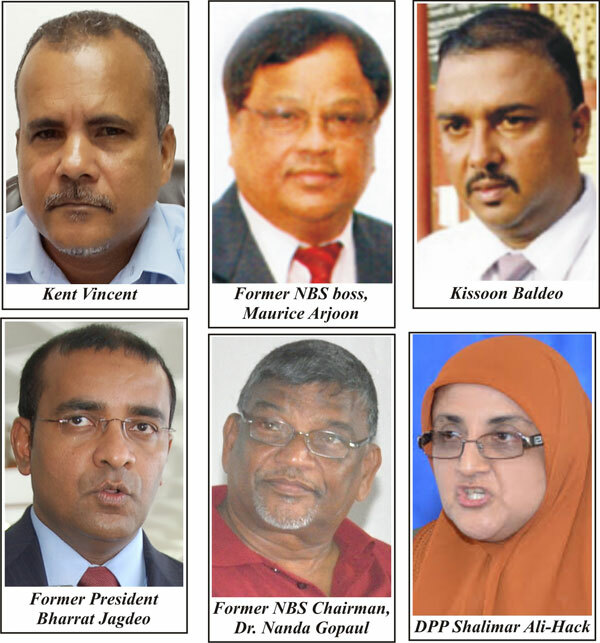 The high profile case was widely reported in the media not only because of the amount involved, but because of the fact that NBS is the biggest mortgage lender in Guyana. Vincent was reportedly one of the signatories to the cheques issued to the person who used a fake Power of Attorney to carry out the fraud. For seven years, after he was charged, the stain remained, despite the court case being dropped after the main witness- the holder of the account – had stopped coming to court. Then in October, a shocking report by Ombudsman, Justice Winston Moore, found that the police should never have charged the three men. The report, based on a complaint by Arjoon, said that the men suffered a grave injustice and should be compensated for losing seven years of their lives. 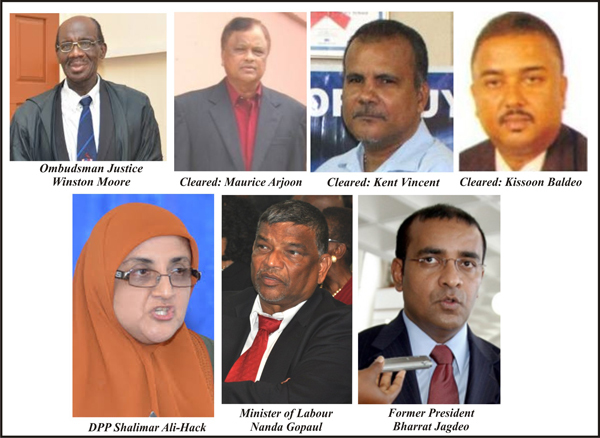 Arjoon claimed in his complaint that they were framed because he refused to illegally lend $2B from NBS to finance the construction of the Berbice River Bridge. 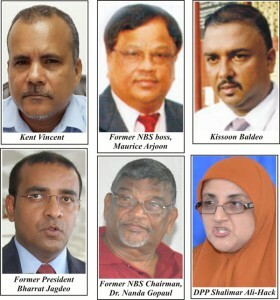 The decision by NBS apparently angered former President, Bharrat Jagdeo, he said. Vincent is now the Chief Executive Officer of Food For The Poor, one of the biggest non-governmental organizations in the country. Before he got the job in 2011, Vincent, a father of five daughters, suffered from the stigma of the charges. He was understudying the then CEO, Leon Davis, who was proceeding on retirement leave. But Vincent could not take up the post until his case was dropped in Magistrate’s Court in 2011. Speaking with Kaieteur News, Vincent said that he was utterly shocked by the charges; he had no inkling of it. He had only shortly before been transferred from Essequibo to the NBS headquarters. He and a few others had been cooperating with police on the investigations of the fraud with another staffer, Kumar Ragobar, being the main suspect. The day before he was charged he was told by his boss, Arjoon, that the police wanted them at Eve Leary the next morning. On May 31, he was taken to court and charged with the two other managers for the $69M fraud. The court placed him on $2M bail. Vincent did not have the money as he had used his savings to buy household and other items. A sympathetic staffer paid the bail. The charges significantly impacted Vincent who was without a job for eight months. He stopped using his fans and microwave and put them away in the storeroom of the South Ruimveldt home he was renting. For a few months, he could not even pay his rent but his landlord allowed them to continue living there. But faith in God and support from the congregation of the Brickdam Cathedral where Vincent and his family were prominent members helped the family. The first Sunday after he was charged, the priest publicly announced his support for the former manager and his family. It was a major boost as the church never discontinued Vincent from serving in his capacity. Families and friends did what they could to help. Vincent said that he believed that the court case was being deliberately dragged on. It was only after his lawyer, Basil Williams, applied for the case to be dismissed because of the missing main witness that the court relented. As a matter of fact, Vincent said that because of church upbringing, he has long forgiven the persons involved in causing seven years of his life to go. Vincent does not know the real reasons why he was charged although he has heard some theories. Vincent insisted that it could not be that he had a close relationship with his boss, Arjoon. With regards to the positive news that came out of the Ombudsman’s report which cleared his name, Vincent said it was a huge relief. The executive said it would have been difficult without the support of his wife and daughters, the eldest who is 26 now. He has sued NBS for $500M. Vincent’s story of suffering would be similar to that of Arjoon. But different, too. He has not forgiven his accusers. He said that his dismissal left him with a huge mortgage payment every month. For months, he could not even speak because of the shock. The Arjoon family was literally ostracized by persons that they once knew. The couple lost weight. Arjoon was just a few months from retiring when he was sacked. He lost all his benefits, to the tune of millions, as a result of his dismissal. His photos too had been splashed more than anyone in the local newspapers. Arjoon is asking for President Donald Ramotar to personally intervene to ensure that his benefits are paid. He also wants the Director of Public Prosecutions, Shalimar Ali-Hack; Finance Minister, Dr Ashni Singh; and former NBS Chairman, Dr. Nanda Gopaul, and others involved in his “frame-up” to be “relieved of their positions, investigated and be dealt with according to law”. Baldeo is said to have migrated and suffered also from his sacking.